MRM’s News Bites returns with news from The NextGen Cup Consortium and Challenge, Shoney’s, IHOP and DoorDash, Parts Town, Peter Luger Steak House and Wondertable, Umami Burger, Toast, Softtek, US Foods, Chef Works and Gather and EVENTup. The NextGen Cup Consortium and Challenge, convened by Closed Loop Partners, announces that McDonald’s joins Starbucks as a founding member of the group joining together to develop a global recyclable and/or compostable cup solution. This announcement follows recent commitments by both companies to drive innovation of their packaging and help reduce waste. While NextGen intends to work on the entire cup system, including cups, lids and straws, its first challenge will focus on the fiber-based hot and cold cup. For more details on the consortium or challenge, visit www.nextgencup.com. Shoney’s® is choosing paper over plastic and will phase out plastic straws at all of its company-owned stores by 2020, according to Shoney’s Chairman and CEO David Davoudpour. In order to get back to what Davoudpour calls Shoney’s “Glory Days,” the brand is now growing through franchising following an extensive revitalization effort. Shoney’s is offering franchising opportunities to qualified single and multi-unit candidates. IHOP® Restaurants is rolling out its first, and largest, national delivery program in partnership with DoorDash. The introduction of delivery at select IHOP restaurants across the U.S. is a step in expanding the brand’s IHOP ‘N GO® (to-go) platform which already includes a fully-integrated online ordering system through IHOP.com and the IHOP mobile app. Currently, more than 300 IHOP restaurants are set-up for online ordering through the DoorDash website and mobile app with another 600-700 IHOP restaurants expected to be available for delivery by the end of the year. Parts Town acquired PartsXpress, an independent supplier of foodservice and commercial appliance parts in the country, powered by Smart Care Equipment Solutions. Financial terms were not disclosed. As part of this acquisition, Parts Town will become the primary supplier of genuine OEM parts to Smart Care Equipment Solutions’ technicians. The acquisition will further expand Parts Town’s leadership in supporting field service companies across the globe with the genuine OEM parts they need to deliver field service excellence. Smart Care Equipment Solutions will retain and build on its growing national field service capability, not acquired by Parts Town. Peter Luger Steak House and Wondertable, Ltd. announce an exclusive contract to develop a Peter Luger Steak House in Japan. This marks the first time the renowned Peter Luger brand will expand outside of the United States. The forthcoming Peter Luger Steak House will be in the center of Tokyo and is expected to open by 2020. Peter Luger Steak House has been a fixture in Brooklyn for more than 130 years. When restaurateur Peter Luger first opened the Williamsburg restaurant in 1887 it was called Carl Luger’s Café, Billiards and Bowling Alley and quickly became a neighborhood favorite. Following Luger’s death the restaurant struggled and was sold at auction to Sol Forman, owner of Forman Family, a local manufacturing company. The Forman family still owns and operates the restaurant today and has since added a second New York location in Great Neck, Long Island. In addition to the restaurants, Peter Luger products are sold in grocery stores and dry-aged cuts are available for home delivery through the online butcher shop. Wondertable has nearly 120 restaurants around the world and a track record of introducing American restaurants to the Japanese market including Lawry’s the Prime Rib and Union Square Tokyo, a Danny Meyer restaurant. Plans for Peter Luger in Japan are still in development by Wondertable. The restaurant, which will replicate the design and operational elements of the New York locations, will be centrally located in Tokyo and be approximately 7000-11,000 square feet. 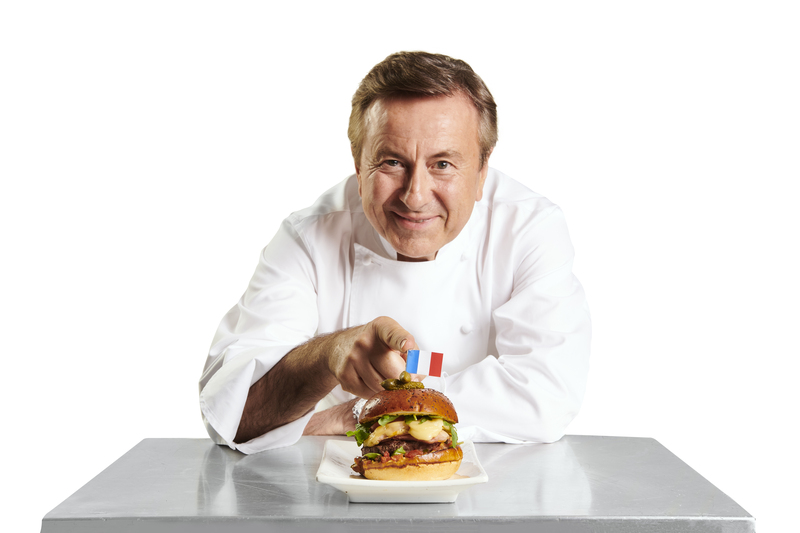 Umami Burger announced its latest Artist Series collaboration with global award winning Chef Daniel Boulud in celebration of Bastille Day on July 14th. Chef Boulud has created ‘The Umami Frenchie’ as an exclusive culinary creation available at participating Umami Burger locations nationwide from July 14 to September 14, 2018. A key aspect of this collaboration is that $1 from each burger sold will benefit Citymeals, which provides a lifeline of nourishing meals and vital companionship to New York City’s homebound elderly. The burger will be available at participating Umami Burger locations through September 14 for $18. Toast announced $115 million in Series D funding to accelerate investment in research and development, recruit new talent, and expand its market presence. The financing round, led by funds and accounts advised by T. Rowe Price Associates, Inc., with participation from new investor Tiger Global Management, LLC – as well as existing investors – values Toast at $1.4 billion. Softtek launched Softtek Guest Engagement Solution, a cloud-based omnichannel application aimed at increasing restaurant efficiency and improving the dining experience. By enabling real-time ordering, updating and payment via mobile devices, Softtek Guest Engagement Solution redefines the dining experience. In addition, by integrating point of sale (POS) data with back office data systems, the solution helps restaurants gain customer insight and improve operational efficiency. The mobile application digitizes restaurant activities such as placing drink orders and waiting for menus, checks and receipts – activities that cumulatively can take up to 20 minutes. By automating these interactions and reducing table time, Softtek’s Guest Engagement Solution makes dining out more feasible for time-strapped customers. Restaurants, meanwhile, can significantly increase table turnover during peak periods. At the same time, while the tool increases waitstaff productivity, servers can still engage with customers to offer suggestions, describe daily specials and upsell premium items. US Foods Holding Corp. said its entire line of Metro Deli®, Rykoff Sexton®, Chef’s Line® and Stock Yards®* Exclusive Brand products will be produced with clean label profiles as part of the company’s Unpronounceable List™ initiative. The initiative is aimed at producing products with simple, more recognizable ingredients by avoiding, removing or replacing ingredients and food additives found on the company’s new Unpronounceables List. The company’s Unpronounceables List includes more than 80 ingredients the company will avoid using in more than 1,000 of its Exclusive Brand products. Product ingredient labels across the four best-quality Exclusive Brands will now be free of ingredients such as artificial flavors, artificial (FD&C) colors, high-fructose corn syrup, disodium guanylate, sodium benzoate and monosodium glutamate. The Unpronounceables List initiative builds on the company’s Great Food. Made Easy. strategy committed to helping independent restaurant operators ‘make it’ with versatile and innovative menu options to meet evolving diner preferences. To learn more about the Unpronounceables List initiative visit usfoods.com/unpronounceableslist. Chef Works granted $25,000 to Kitchens for Good as part of its “Chef Works Cares” charitable initiative. Kitchens for Good is a non-profit organization that tackles issues of food waste, poverty and hunger. By taking food that would otherwise go to waste, Kitchens for Good uses that surplus and creates nutritious meals through a culinary apprenticeship program for those formerly homeless, previously incarcerated or aging out of the foster care system. Chef Works Cares oversees three primary philanthropic efforts: The elimination of children living in poverty, aiding children and adults living with intellectual and developmental disabilities and protecting and improving the environment. Chef Works and Kitchens for Good are also collaborating on a sustainable food cooking competition in San Diego in October, hosted by Celebrity Chef Elizabeth Falkner. Additional information will be available in the next month. Gather acquired EVENTup. Together, Gather and EVENTup will enable over 12,500 restaurants, event spaces, and venues to grow their businesses by connecting them to millions of planners and consumers across the nation. More than 5,000 restaurants and venues across the U.S. already use Gather’s software to manage and simplify their event bookings process and, in 2017, planned and managed over 700,000 events, grossing more than $1 billion. This acquisition will provide opportunities for Gather customers to source new events business through listings in EVENTup’s unique online marketplace. EVENTup currently features over 7,500 venues in 300 U.S. cities and covers all types of event spaces, including art galleries, lofts and warehouses, banquet halls, rooftop bars and conference centers. EVENTup will operate as a wholly owned subsidiary of Gather, which will continue to offer its event management platform to restaurants and venues across the U.S. Gather will remain headquartered in Atlanta, and EVENTup’s main office will remain in Chicago. Moving forward, Gather and EVENTup will explore opportunities to launch complementary offerings, and accelerate their product roadmap to address the evolving needs of their growing customer base. delivery.com, a leading destination for on-demand ordering, and TripAdvisor (NASDAQ:TRIP), the world’s largest travel site, today announced the integration of delivery.com’s restaurant delivery network into TripAdvisor’s desktop and mobile experiences. The new integration brings thousands of new food delivery options to TripAdvisor diners. TripAdvisor users browsing restaurant listings in the United States now have the option to easily order food from thousands of delivery.com restaurant partners by simply clicking the “Order Online” button. And with delivery.com’s recent release of group ordering, those eating as a group are now able to order even more efficiently. For delivery.com’s merchant base of over 12,000 restaurants, this integration provides a brand new channel for them to market their online ordering capabilities to TripAdvisor’s hundreds of millions of unique monthly visitors, as well as to receive incremental orders from a broad range of new customers nationwide. Terms and length of this agreement will not be disclosed.